To keep up with the IPA reviewing trend, I decided to give the Engineers India Pale Ale by Junction Brewery a try. You shouldn’t have a hard time getting your hands on this one as it’s widely available at most liquor stores. Engineers IPA is also a nice upgrade from their flagship beer; the Conductors Craft Ale. Both beers are hopped pretty heavily, though I find that the Engineers IPA has a taste closer to that enamel stripping bitterness I enjoy. Junction’s IPA is in your face with the some pine notes and malty aromas. It’s quite bitter and I found that it hung around for a pretty long time after taking a taste, though it was pleasurable through it’s entirety. If you drink this when it’s a bit warmer the bitterness is quite muted and the flavours don’t hang around for as long. I’ve had a few bottles of this beer; one of which was along side some home made cheese burgers a few nights ago and this beer paired with it perfectly. It’s a hearty beer that makes an already heavy meal even better. There was one thing I noticed when picking the bottles up from the LCBO though. As you can see there were some flaws in the labeling which was a little disappointing. I love Junctions artwork and found the goofed up labels took away from it a bit. This definitely isn’t affecting the beer in anyway, though I hope that whatever goofed up these labels was just a glitch. 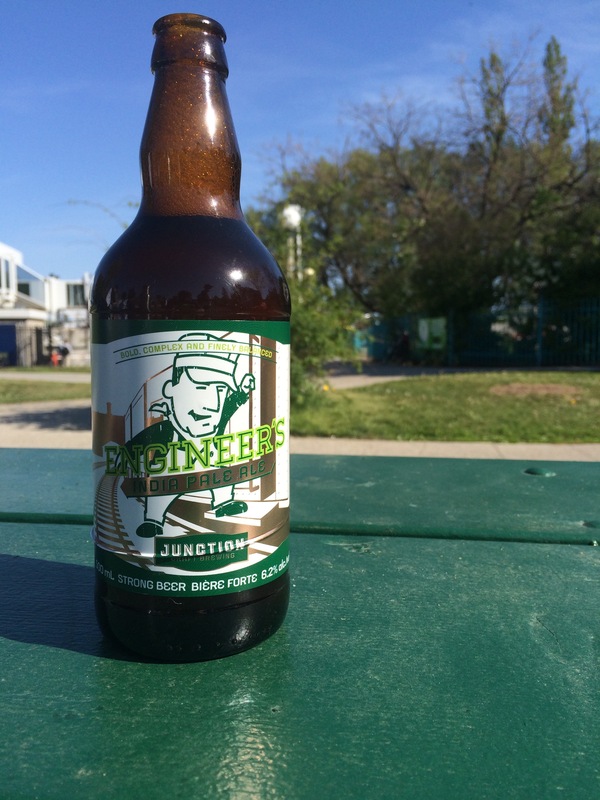 If you’re scanning the beer shelves at the LCBO and see the Engineers IPA, grab at least one and give it a try!